In the previous parts of this article, Skeptics’ Guide to the Universe podcast rogue Jay Novella and I discussed a wide range of topics, including the origins and evolution of the podcast, the Skeptics’ Guide book, the influence and loss of Perry DeAngelis, and the Novellas’ Sci-Fi review show, Alpha Quadrant 6. (You can read part 1 and part 2 on csicop.org.) In part 3, we conclude our comprehensive conversation. Rob Palmer: So, Jay, tell me: at the beginning, did you or any of the Skeptics’ Guide rogues envision your podcast becoming as popular and influential as it has now become? 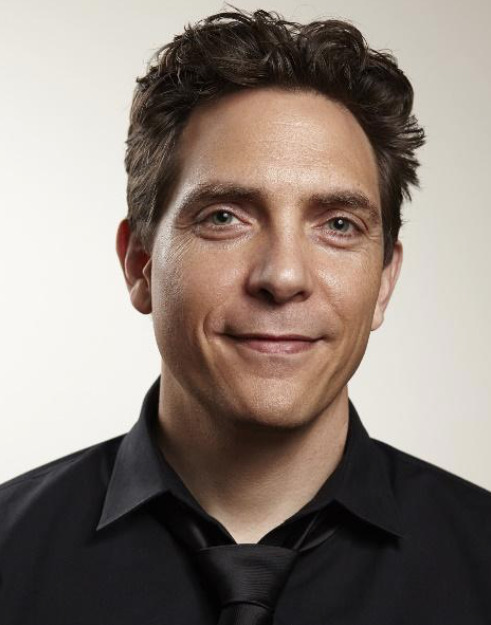 Jay Novella: We never thought the show would end up where it is today. Even today we consider ourselves lucky. Not to diminish the hard work. We record the show and interact with listeners over email. We also spend time getting to know our patrons. It took years for us to really understand that the podcast has a significant reach, and that it’s having an effect. And I like it that way. I like us humble. In the end, we’re doing what we set out to do, which was to help educate people. And, as Bill Nye says, we want to change the world—to make the world a better place. And science is the number one thing that the world needs. After a conference, we’re basically talking about the people that we met, and the cool experiences that we had, and it has nothing to do with fame … I honestly don’t like being in the public eye. I like to have a private life … I would really hate to be super famous. It becomes debilitating. And I think the charm wears off very quickly. Going to a conference is awesome, because for those three days we’re in an environment where a lot of people know us, and that’s a ton of fun. But man, it feels great just leaving, and not having all that attention, because it’s emotionally heavy. I couldn’t do it twenty-four hours a day. That’s not the life I want. Palmer: Can you tell me about your pre-SGU career and how it prepared you for your business and tech roles with the SGU? Novella: I started off as a software engineer. I loved writing code. When the internet exploded, I got into web programming. So I was building business layer functionality behind websites and building full websites. Then I got into e-commerce, and I became an e-commerce expert. That was the last job that I had, and it dovetailed so wonderfully into me being able to grow the SGU. When I started to work behind the scenes for the SGU, I created and maintained the website. I also handled all the audio gear. Steve and I figured out how podcasting worked, and then it progressed to the point where I was comanaging the company with Steve. We always worked together well and complemented each other. Steve’s always focused on the content, and I’m always focused on everything else. Palmer: Can you explain the decision to monetize the podcast? Novella: I had to convince Steve we have to monetize this. It costs a lot of money to do what we do, and the time commitment is so huge that we all need to be compensated for the time that we put in. Steve resisted monetizing. Early on it was okay, and the costs were manageable. As we grew it got to the point where we had to make a move. At this point everyone else out there was monetized. Steve still felt we should hold off. What he wasn’t sure about was that the landscape changed. I had been watching it closely from the very beginning. Back then I agreed: we should not be asking people for money. But then it got to the point where the amount of time that we had to put in, the hosting fees, just on our media alone, was huge. Everything costs big bucks. And then we got to the point where I’m like, “we can’t continue to do this without an income. This business needs its own income…” So, finally, we started a membership, and it was a very easy transition. It was the very beginning of us having money to reinvest back into the company. Novella: I know Sharon! Great question. It has changed my perception … first I am no longer the most important person in my universe. There’s this massive humbling effect. The amount of care that you have to give, and time and attention, is profound. And you have to want it. I couldn’t imagine doing this with the wrong partner, because you and your spouse have to be on the same team. You also have to accept the fact that your relationship is going to take a hit, because you’re not just hanging out with that person anymore. It’s a ton of work. So yeah, it’s humbling, number one. Number two, it’s the most important thing I’ve ever done in my life. These are people that I’m responsible for. I have to commit a tremendous amount of time, energy, and money to give them the tools they need to become adults. And, you know, I want them to have fun while they’re kids and enjoy all this time. It’s wonderful … and scary. As far as teaching them, it doesn’t come as easily as you would think. It’s very complicated trying to reach a child. Especially because I started parenthood with zero experience. I never worked with kids before. Some people find it very easy; I find it very difficult. I’m trying to figure out ways to explain things to my child, and I don’t know if they get it. My brother Steve, who had already raised two children, said, “Don’t dumb things down as much as your gut tells you to.” I want both of my kids to understand and love science … that it’s revealed secrets of the universe to us … all these wonderful pieces of information. That it’s the reason why we know how hot a volcano is … And it’s the reason why we understand the points of light that we see out there are stars, what they are, and what they’re made of. …We’re constantly putting these little tidbits of information in their heads. Palmer: Let’s talk about NECSS [The Northeast Conference on Science and Skepticism]. I’ve heard reports that the 2018 speaker list was very female-centric. Was that intentional, or just the way it worked out this time? Novella: Humans are very male-centric. Back in the 1950s, most women didn’t work. The percentage was insignificant. Even though things are very different today, there’s still great inequalities. We noticed a long time ago that the speaker line-up at all the conferences we attended were mostly white males. As a conference organizer of ten years, it’s very easy to find excellent white male speakers. … We decided to make a concerted effort to change this. We were the first skeptical conference to have a female MC, Leighann Lord. [In 2018] we broke 50 percent female speakers. The previous conference was about 40 percent. We just said, “Look, we’re going to broaden our net. We’re going to try twice as hard to find female speakers.” And we spent a lot of time. Liz Gaston, who was the head of the speaker committee, did a wonderful job. This was definitely intentional. It took a ton of work, and I think the last two conferences that we’ve had have been our two best. Palmer: Did you notice the change in speaker mix having an impact on the demographics of the attendees? Novella: No, it didn’t really change that. But we sent out a survey to everyone that attended and there was a ton of positive feedback. People were happy we did it. Palmer: I read that NECSS 2018 featured “a renewed emphasis on art and alternate outreach methods,” and that you did a workshop right up that alley called “Epic Movie Characters.” So, tell me about your presentation. What was the main thrust, and what ideas were you trying to convey? Novella: So just to give you a little context, Brian Wecht and I decided years ago that we wanted NSCSS to have an infusion of art as well … not just science and skepticism. We want to show that our conference doesn’t have to be one-dimensional. We have a lot of attendees who are interested in other topics. Brian and I thought the workshops were the right place to explore. The workshops are intimate; each session has no more than thirty people. We’ve done Acting 101, beginner improv, and how to speak in front of an audience. We’ve also discussed elements of film in different ways. We want people to have fun with us. We can let our hair down and enjoy some of the hobbies that we have outside of science. Palmer: And how does this relate to your 2018 workshop? Novella: In this particular one, we talked about the idea of what makes a character successful in a movie. I don’t mean, “Are they a likable character?” I mean, is the character actually doing a good job of relaying what they’re supposed to relay? For example, Indiana Jones may be one of the best characters ever created in any movie. Why does Indiana Jones’s character work so well? We deconstruct it, and we go through the whole process of talking about the writing, the nuances of the character, the way that the film is shot, the characters relationships. … We created a list of must haves that most successful movies follow. Successful characters typically evolve over time. They face an obstacle that changes them. Elements like these make up a successful character. When they are not there, or not done well, you end up with a one-dimensional character. It’s hard to pull off. I remember asking the audience, “Why do we love Darth Vader, because he doesn’t even follow all these rules that we came up with?” Darth Vader is a horrible person in Star Wars. He is the ultimate bad guy. He represents Nazi Germany, for crying out loud. And he’s a kid killer. But yet, he is this phenomenally successful, loved character, even as a bad guy. Fascinating. Palmer: Regarding the larger picture of the big skeptical conferences like NECSS: Some people are saying there are too many skeptical cons now, and they are splitting the available pool of people too much, hurting attendance at them all. Novella: Well, I don’t honestly know how many people there are out there that want to attend a science and skepticism conference. I don’t think right now there are too many conferences. I think that the larger conferences are nicely spread out geographically. People attend the one that’s closest, or the one that they like the most. After I go to QED, I could say I’ve been to at least most of them, and they’re all so unbelievably different. They don’t feel the same. They don’t have the same regulars [or] the same staff. NECSS has been around for ten years, and we’ve had good attendance. Of course, I’d like a lot more people to come. I love the conference, and the people who attend have a great time. I don’t feel like the numbers are too small, or too big. … It is what it is. Palmer: Maybe it’s just an issue with the cons in close proximity being a problem? Los Angeles and Vegas are so close that people likely pick just one. Novella: I could see that, especially if they’re pulling from the same pool of people. I like that there are multiple conferences though. It’s our job to bring in new people and grow the community. Novella: Oh yes! We would have gone this year [in 2018], but the dates didn’t line up because of QED. Palmer: Let’s talk about the flat-Earth conspiracy theory, or should it be called the flat-Earth “misconception”? Novella: flat-Earth is such a profound misconception. To think that we’re having such a lack of trust of science! It’s been politicized. In my opinion this isn’t like political journalism, where you need to show both sides of the argument. There are facts, and there are things that are not even worthy of talking about. Flat earth is not even worthy of talking about. How do you even begin to tell them that, “Look, everything that you’re fighting for is so 100 percent void of any scientific credibility that I don’t even want to have this discussion with you?” It’s a total gut of established science and everything that we stand for. We know that science is legit, because it delivers the goods—as so many people have quoted over and over again. Our society is run on technology, which comes from science. We’re surrounded by incredible feats of technology. flat-Earthers are communicating to each other on cell phones, through social media that’s going through hundreds or thousands of computers! It’s like an ant sitting on top of a pile of refined sugar saying, “The gods are providing us with unlimited food.” Well, no, you happen to be an ant that lives in the sugar factory. Give me a break. Palmer: I understand that someone in your own family has these fringe beliefs, including being a flat-Earther. Do you want to discuss that? Novella: Talk about very odd circumstances! She’s closely related to me, Bob, and Steve. We created a podcast that has significant reach; we discuss critical thinking and science. And we’re not just teaching people about it—we’re fans of it. We’re obsessed with it. We love it. It’s a cornerstone of who we are. And she is a fundamentalist. She is a conspiracy theorist. She is a survivalist. One day she said that they could see heaven with a telescope. My guess is someone read an article about seeing some type of gaseous cloud that had some cool shape to it. This is transformed into seeing heaven. And of course, that’s where God is! As if God is floating somewhere in outer space. We have this lump of flesh sitting on top of a spine that is the most incredible thing in the universe. It’s called a brain. Millions of years of evolution, and [flat-Earthers] refuse to use it. The humbling thing is that she is a highly educated person. Some people need to believe so badly that they can compartmentalize anything … literally anything. Even the [shape of] Earth. Palmer: Do you think it’s a matter of accepting a different level of proof for one’s beliefs, or just wanting badly to believe something despite mountains of contradictory evidence? Novella: I don’t think proof has anything to do with it. Their perception is based off of their emotional needs. I’ve talked about flat earth concepts with people who believe it, and it doesn’t matter what you say. No level of proof can sway them from their belief. They’ve gone into the snake’s mouth, and most of them can’t pull themselves out. I want to thank Jay for being extraordinarily generous with his time, and for giving me more than enough interesting material for this three-part interview series.